This tip can’t be iterated enough. 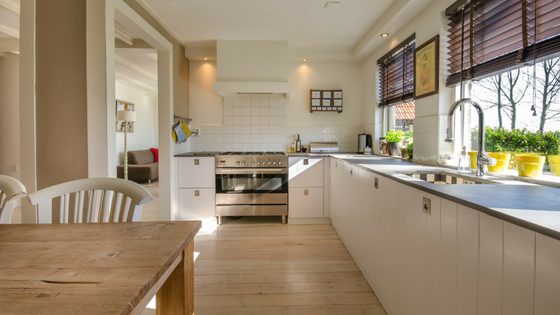 From minimizing clutter to touching up or repainting walls to overall cleanliness, this is probably the biggest factor in increasing the value of your home. Cleanliness is reflected in listing photos, during open houses and showings. You could have the best house on the block but if it’s dirty, it will be hard to sell at your asking price when potential buyers are unable to see the amazing features that make your home unique. Take a look at your home from your neighbor’s perspective. At first glance, does your home look well maintained, attractive and welcoming? Take a photo and look at it in black and white. What glaring flaws do you see? You can accentuate a walkway with flowers, paint your front door, repair cracks in the sidewalk, driveway or foundation and remove dead or lifeless bushes. See more of why curb (and web) appeal matters here. According to Forbes, the kitchen and bathroom are the two most important rooms in your home. Make low-cost/high-impact upgrades like a fresh coat of paint, a back-splash, or a new faucet. Or go all in with a full remodel or upgrade to new stainless steel appliances. In the bathroom, update counter tops or tile. These two rooms are also where cleanliness (or lack thereof) is very important to potential buyers. Dirt, food residue, and mildew can build up over time, making it more costly to remedy down the road. If you know you will be selling your home within the next year or two, consider hiring a home inspector. They can offer some great places to start in regard to the current state of your home. They can also identify what could come up with potential buyers and then you can fix any problems on your terms and timeline. You (and your pocketbook) will be happy to know what fixes need to be made now and where else you can spend your money. Be sure to keep these tips in mind no matter where you are in the home selling process. If you have specific questions about your home, be sure to contact one of our agents for a consultation. To Remodel or Not? That ’tis the Question!